Text Adventures were many of our first forays into video gaming. Similar to the Adventure stories we would get as books each adventure was usually a unique, and fulfilling story combined with puzzles, traps, loot, and enemies. 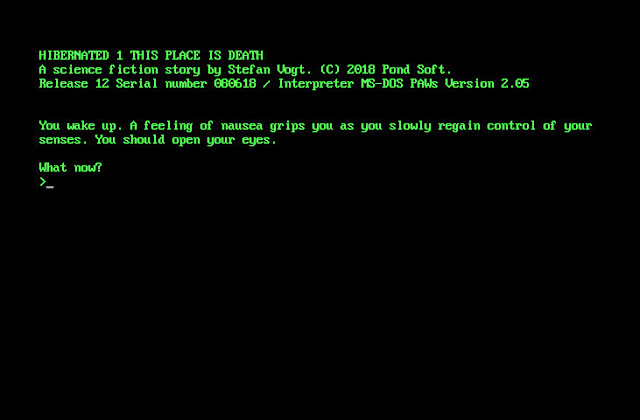 The latest release by Stefan Vogt is one such classic text based adventure game and although it is a sci-fi adventure known as Hibernated 1: This Place is Death, it will still feel right at home for anyone who likes entering text based commands such as EXAMINE BODY, CHECK CORPSE, INSPECT DEAD! 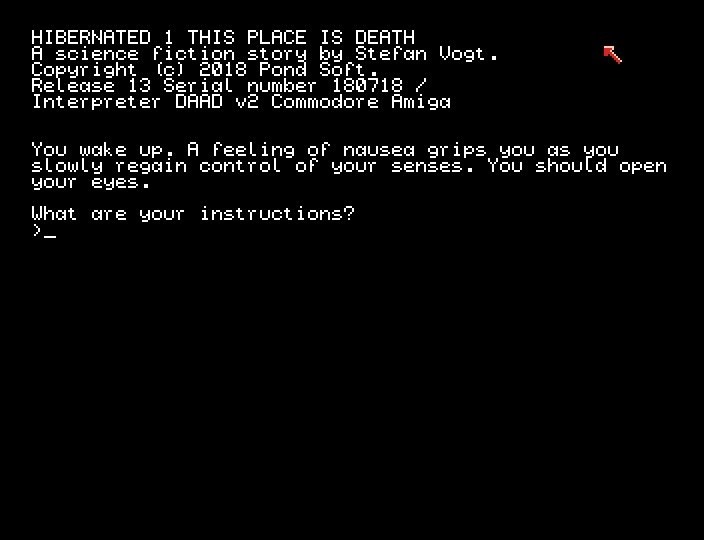 As noted by the description this Science-Fiction text adventure has been released for the C64/C128, ZX Spectrum, Amstrad CPC, Amiga, Atari ST and MS-DOS as the first interactive story in an epic trilogy cantered around Olivia Lund, who has been sent on an interplanetary exploration mission by the Terran Alliance. But all is not well, as your ship the Polaris-7 has crossed paths with an alien vessel drift through the cosmic void, and after waking from a long 300 year hyper sleep, she has found herself in dire straights, there's no communication, no signs of life and there's the Alien ship to contend with as well. So as the story writer says "Far away from home and surrounded by death and decay, she found the answer to one of the greatest questions of mankind. Are we alone? The answer is: yes, out here, we are more alone than ever".